How Do You Deal With Vehicle Salt Corrosion? Among the greatest enemies cars face is salt. Salt may cause tremendous corrosion to the exterior and underside of a vehicle. Salt corrosion might even harm vital parts such as brakes. 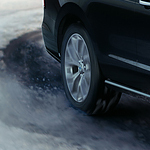 Taking smart steps to protect a car against salt corrosion could potentially reduce troubles. Troubles with salt corrosion are common in the winter. Municipalities use salt to de-ice roads. Unfortunately, the salt comes in contact with vehicles at this time. Taking preventive steps could cut down on damage. Adding protective coatings to the undercarriage may help. Numerous garages can perform this work. Taking immediate action right after a car suffers salt exposure makes sense. A visit to a car wash could eliminate a lot of salt from the car or truck. Anyone interested in buying a car should think about protection against salt. If you are in the market for a new model, trek to the showroom at Valley Imports Mitsubishi and ask about test driving a car or SUV.